The Monday Special product was designed to welcome players fresh from the weekend. This is Special because; it gives the player a fresh beginning to a new week. The Monday Special was launched on 1st August, 2005 and it is drawn on Mondays. The product is being run on 5/90 fixed odds game. As the name suggests, it is a day for Lucky people with lucky numbers to become rich. 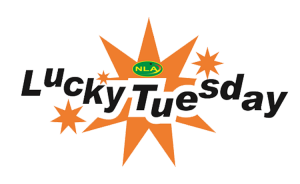 Lucky Tuesday was introduced to the public to offer those who missed the winning blues of the Monday draw. It was launched on the 17th April, 2007 and it is drawn on Tuesdays. This is the second most popular NLA product in Ghana. 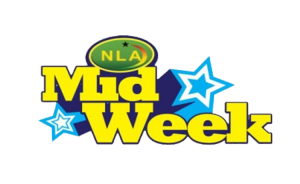 Midweek was introduced on 20th August 2003 and is drawn on Wednesdays. It is the second highest product that is patronized by our players. This product is seen as a Break-Even by our winning players to keep their dreams alive. 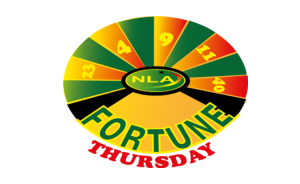 Fortune Thursday is drawn on Thursdays and was launched on 12th April, 2007. The product is designed to turn the fortunes of players around. It is a product of choice for those who believe in changing their destiny by chance. It's called Choose and Win. 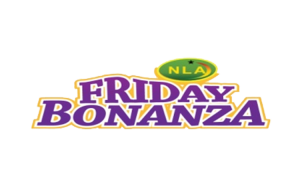 Friday Bonanza was introduced to set a winning player smiling into the weekend. This product gives you a lot of hope and happiness for the weekend and prepares the player for the Flag-ship Draw on Saturday. Friday is the day of draw and was launched on 20th April, 2007. This is the flagship product of National Lottery Authority. It was introduced in December, 1962 and has since been running for over 50 years. It is the passion of the nation and most patronized of all the products. This product has since its inception, made Millions of Ghanaians rich. It has a national appeal and its patronage cuts across all social class in the country. 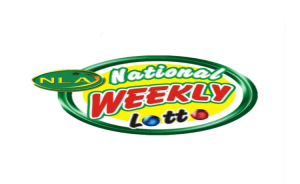 The NLA in accordance withthe provisions set in the National Lotto Act 722 to conduct lotteries with the aim of offering support to the less privileged in society is pleased to introduce a new lottery platform called the Caritas-Lottery. This platform is available for both the NLA and other well meaning organizations and Ghanaians who may so wish to conduct a game of chance to help the needy in society. Playing Soccer- Cash involves the prediction of the ‘Home’ team or ‘Away’ team winning or the match ending in a ‘Draw’ for each of the 12 matches available for the week. Predict outcome of football matches around the world and become a billionaire. Excellence:Excellence in all we Do. Team Work: Together we Accomplish More. To create moments of Hope and Happiness through exciting Lottery Games that generate Revenue for National Development and make all Stakeholders ultimate Winners. To become the Organization of Choice and Blueprint for Lottery in Africa.